It has been only recently that has been possible to give form to a product of an alone time. This possibility nevertheless has not supposed the definitive disappearance of the solutions based on the assembly of pieces since this technology offers certain possibilities: it facilitates the movement by means of the disassembly, allows to adapt the material of each one of the pieces according to his final function, can help to simplify the production of each one of the components, etc. 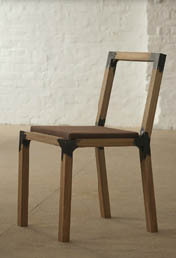 This way, the conventional union between two wood formed by means of an intermediate piece has been skilfully interpreted by Sebastian Herkner in the Clip Chair. In this design the union of the seat to the legs is realized by means of a piece of plastic interposed. Unlike the wood, the plastic can conform very easily so that the whole geometric complexity of the union remains solved in this small piece without need of complex handcrafted works of emptying. In addition, the inflexibility of the plastic has been worn out in such a way that the support tilts fitting his position to that of the user. The same technology in a proposed furthermore eloquent is used by Vroon Land in Rubber Chair. Another form furthermore elaborated of union by means of an intermediate piece is the offer for Iva Dinulovic in Liquid Joint. In this case the intermediate piece is realized by resin that is spilt in liquid state so that it refills the hollows left such an effect in the pieces to joining. 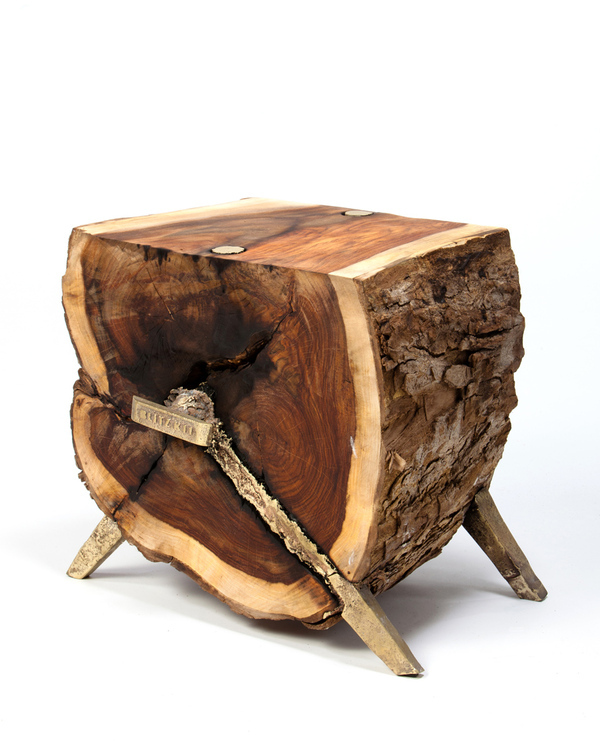 This resin not only hardens refilling the hollows but it reaches an extraordinary resistance and shapes a solid union. 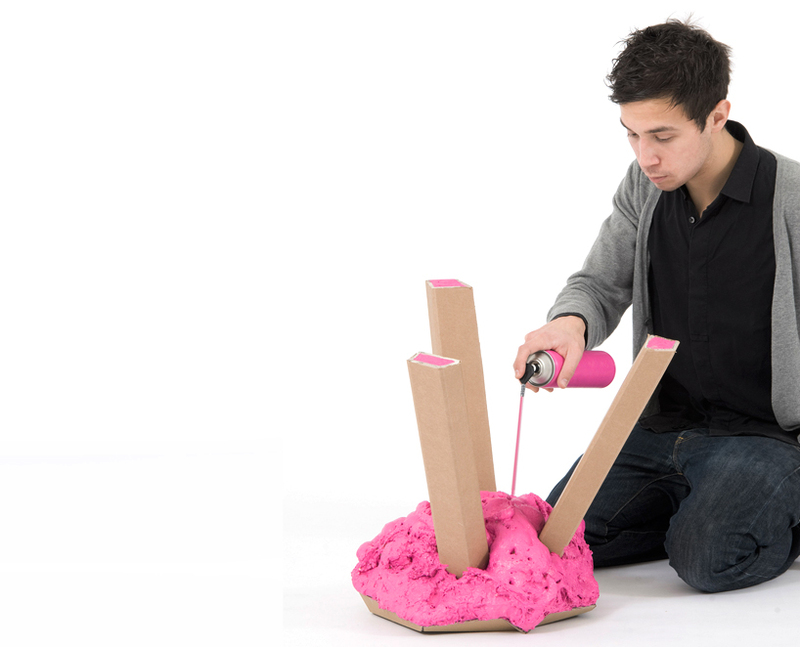 Taking to the limit the possibilities of spilling a material and of allowing that it should harden as form of union, Studio Blitzkrieg developing Blitz.k11. In this case it is a molten brass what is spilt on hollows practised in the wood. The material not only cools and hardens solving the unions but in addition it burns and penetrates the wood of dramatic and expressive form. The utilization of chemical products of last generation is taken to the limit by no-smoking in his DaR, chair in which the pieces lack perforations or emptyings of no type and the unions are realized by means of the simple one and gestual brochazo of resin. 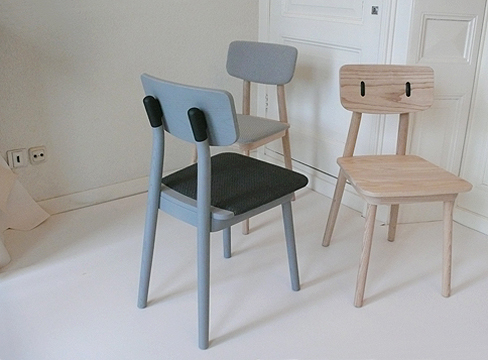 In the same direction and removed from any formal purism, Hannes Harms proposes the Soum Chair, the whole lesson of anti-design. 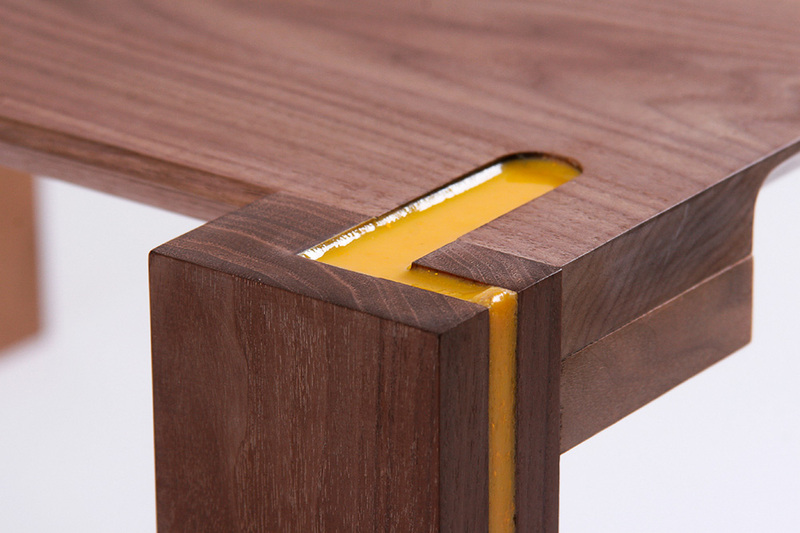 The pieces that compose the seat are simple cuts of a carton. The union of all the pieces solves in the only and informal knot formed by means of a foam projected of color fuchsia and of whose execution the own buyer takes charge. 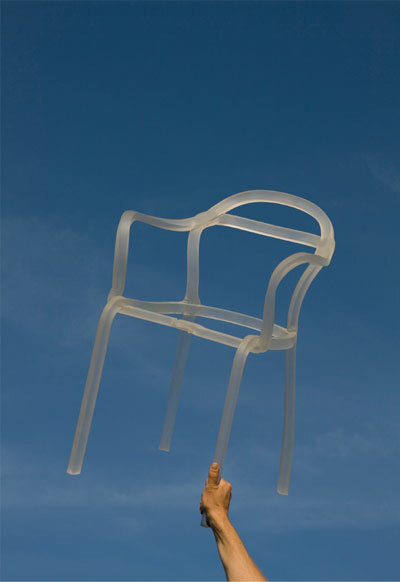 In the limit of the technology, Francois Dumas has developed the Sealed Chair, a chair on which the pieces of translucent plastic that compose it are founded some to others by means of heat. The design the eficientísima remembers geometry of Thonet’s designs that minimize the number of pieces – and therefore of unions – of the final product. Dumas has achieved that the unions are extraordinarily clean and highly expressive of the plastic nature of the material. 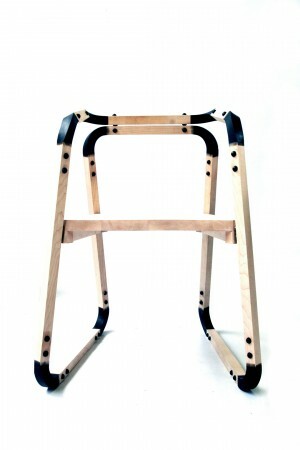 Nevertheless also the low technology offers singular solutions of union between pieces of wood. 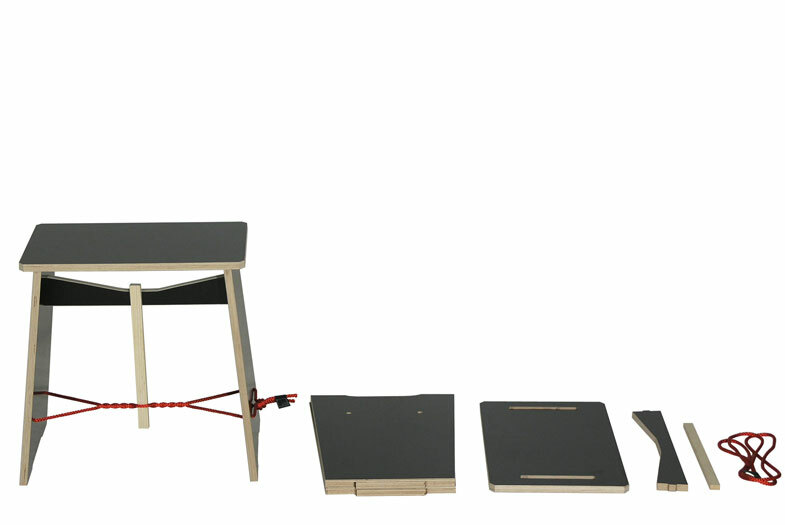 Max Frommeld, like that, whose designs always give singular attention to the unions, proposes Strammer Max, a stool in which all the pieces join by means of the tension induced by a rope on having been twisted and bolted by a simple pin. The unions, an inexhaustible topic on which we invite our readers in order that they indicate examples of interest to us.